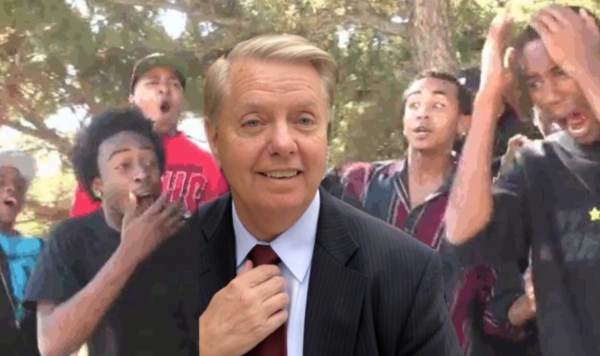 Senate Judiciary Chair Lindsey Graham Dunks on James Comey After Summary of Mueller's Report Exonerates Trump "See You Soon"
Shortly after Attorney General Bill Barr released a 4-page summary of Mueller’s report exonerating President Trump, James Comey fired off a cryptic tweet. Senator Lindsey Graham dunked on Comey Sunday night. James Comey set the ball in motion after he was fired as FBI Director on May 9th 2017. Comey gave portions of his classified Trump memos to a friend to leak to the New York Times in order to prompt a special counsel investigation into President Trump. Comey even said in his December testimony to the House Oversight Committee that by the time he was fired in May of 2017 (one week before Mueller was appointed as special counsel) there was still no evidence that Trump had conspired with Russia. Senate Judiciary Chairman Lindsey Graham has been very clear that he will be investigating FISA abuses and the attempted coup by Obama’s FBI and DOJ. Graham sent a letter to Attorney General Bill Barr last Friday requesting documents related to discussions between FBI and DOJ top brass about removing President Trump via the 25th Amendment. The evidence is overwhelming now that the FBI knew prior to obtaining a FISA warrant and 3 subsequent renewals on Trump campaign advisor Carter Page, that the Russia dossier was biased and funded by Hillary Clinton and the DNC. Comey personally signed off on three of the FISA applications and confessed that the dossier was not verified prior to obtaining the spy warrants.